A range of square threaded tube inserts with either an M8 or M10 thread. A range of heavy duty metal threaded inserts from M10 up to M16 thread size. The metal thread at the core of these tube inserts enables you to team up with adjustable feet that can carry heavier loads. Team up with our adjustable feet to make furniture, machinery and equipment height adjustable. Square Metal Threaded Inserts are a range of tubular inserts, with an integral metal thread, suitable for use in conjunction with our range of adjustable feet and glides and conveyor feet. These metal threaded inserts will fit snugly into square tube, to neatly finish the tubing off. 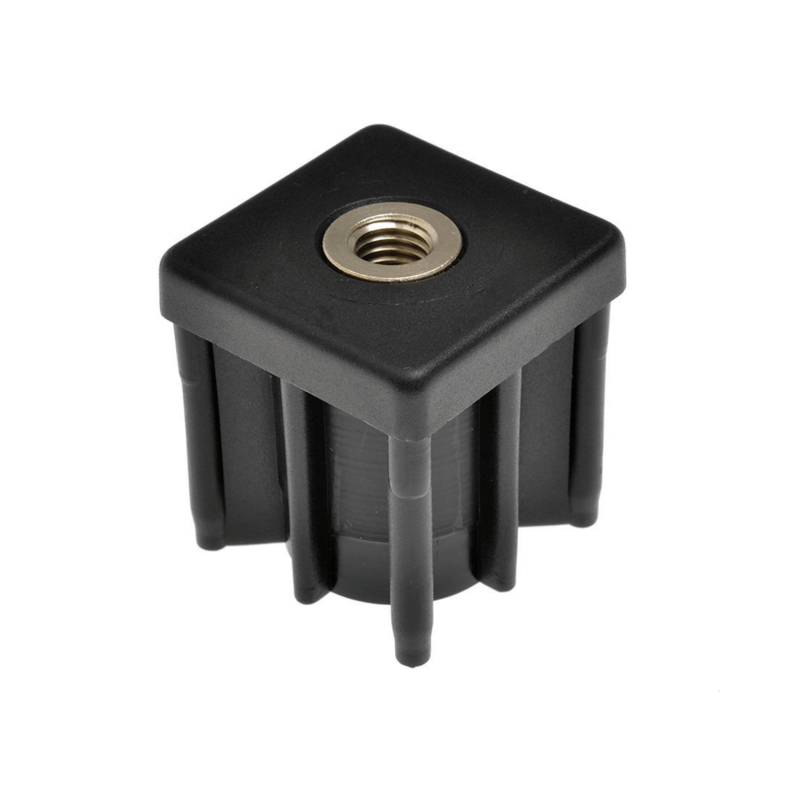 Adjustable feet, glides and conveyor feet can be threaded into these inserts to allow for height adjustment on furniture, equipment and display stands. Square metal threaded inserts come in a range of sizes and a choice of either M8, M10, M12 and M16 thread sizes.